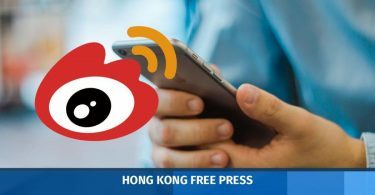 Pro-Beijing heavyweight Maria Tam may have been the first to suggest the idea that the UK should publish regular reports monitoring Hong Kong, a group researching Hong Kong history through declassified papers has said. Britain said in its latest sixth-monthly report that important areas of the “One Country, Two Systems” principle were “coming under increasing pressure.” China’s Foreign Ministry then responded by saying that foreign countries have no right to intervene in Hong Kong affairs and the UK should stop publishing its reports. Before Tam switched sides to support Beijing, she was a member of the colonial government’s Executive Council. 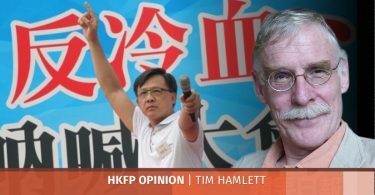 She made suggestions for an annual report on Hong Kong by the UK, two months after the UK and China approved the text of the Sino-British Joint Declaration that decided the future of Hong Kong. 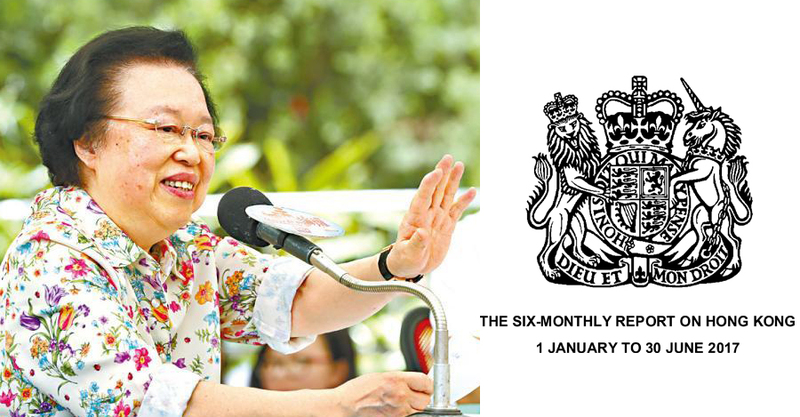 Maria Tam; The latest UK six-monthly report on Hong Kong. File Photo: Apple Daily. 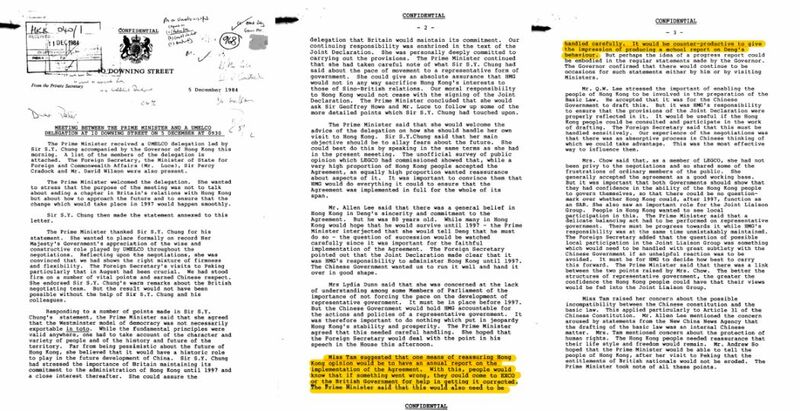 Tam made the suggestion during a meeting between then-prime minister Margaret Thatcher and a top Hong Kong official delegation on December 5, 1984, according to a document declassified last year and released by the project “Decoding Hong Kong’s History” on Thursday. Thatcher did not immediately agree to the suggestion. “The Prime Minister said this would also need to be handled carefully. It would be counter-productive to give the impression of producing a school report on Deng [Xiaoping]’s behaviour,” it added. Members of Parliament pressured the UK government in the House of Commons on the same day to urge it to publish annual reports as suggested by the Hong Kong delegation, or even host annual debates on Hong Kong. Photo: Facebook/Decoding Hong Kong’s History. Five days later, Lord Geddes also pressured the UK government in the House of Lords to publish annual reports on Hong Kong and host annual debates. The UK’s Foreign and Commonwealth Office eventually submitted its first report to the Parliament in December 1985. The research group said the UK had the responsibility as a signatory to publish regular reports on the implementation of the Joint Declaration. “How can Hong Kong and China see them as interventions to their internal affairs?” it said. 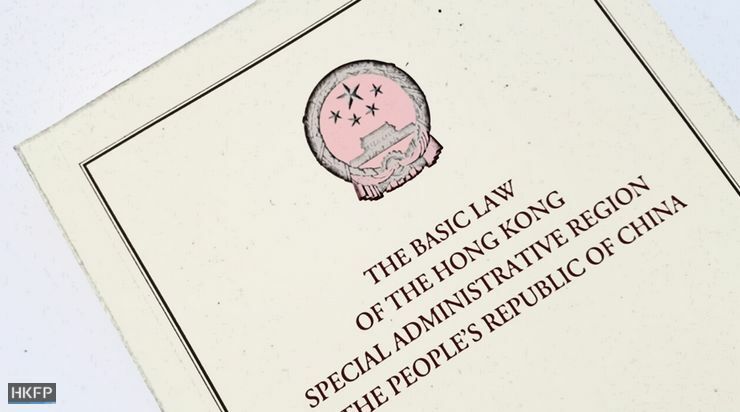 In response, Maria Tam said on Friday that there would not be any problem for Hong Kong, if people followed the Basic Law – Hong Kong’s de facto constitution written on the basis of the Joint Declaration. She said the Basic Law was more detailed than the Joint Declaration, so it provides even more protection to Hong Kong people. Asked if the UK government should continue publishing reports on Hong Kong, she said that the UK government should decide this on its own.